I've an Ozotic comparison to show you today: 502 vs 520. 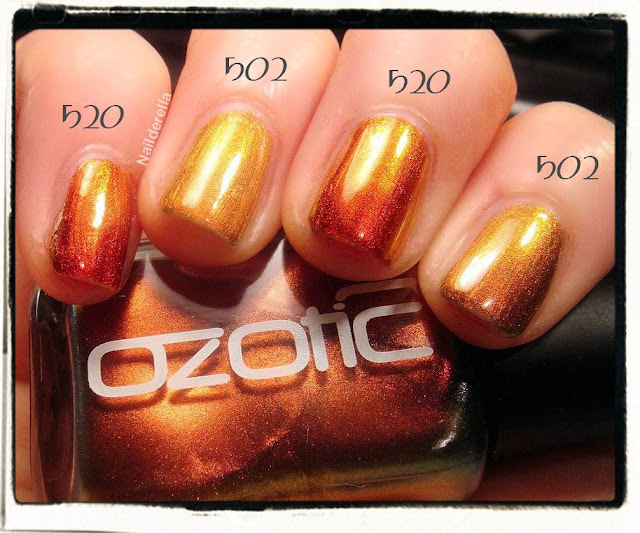 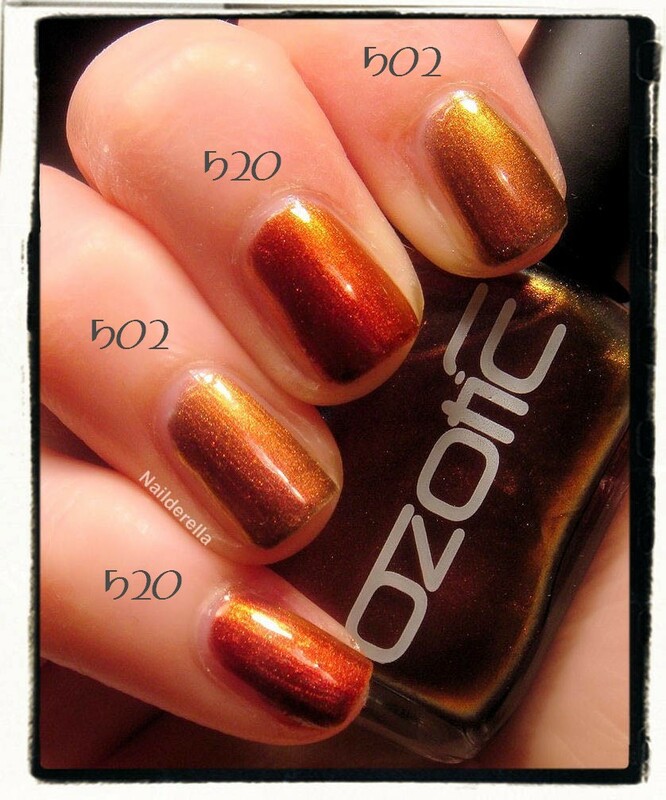 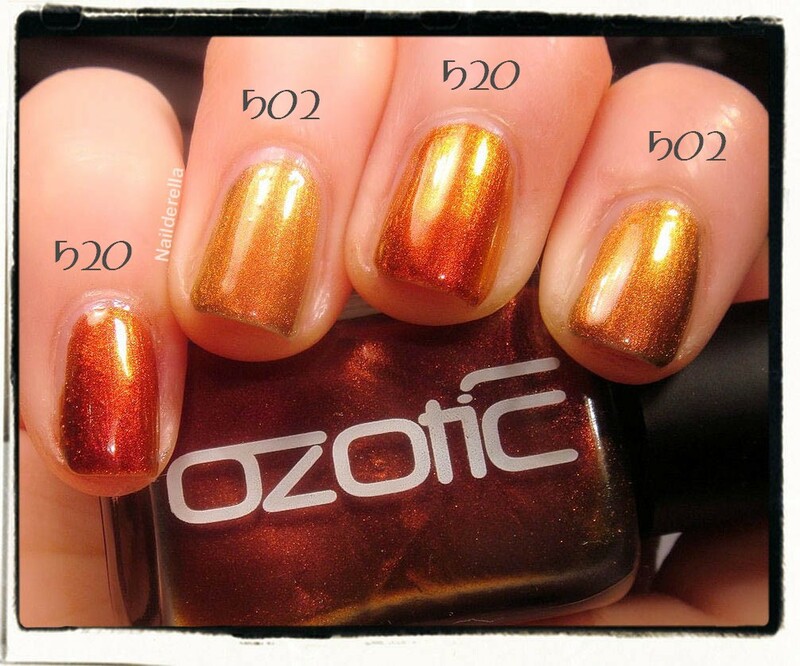 To see my full post for Ozotic 502, click here and for Ozotic 520, here. 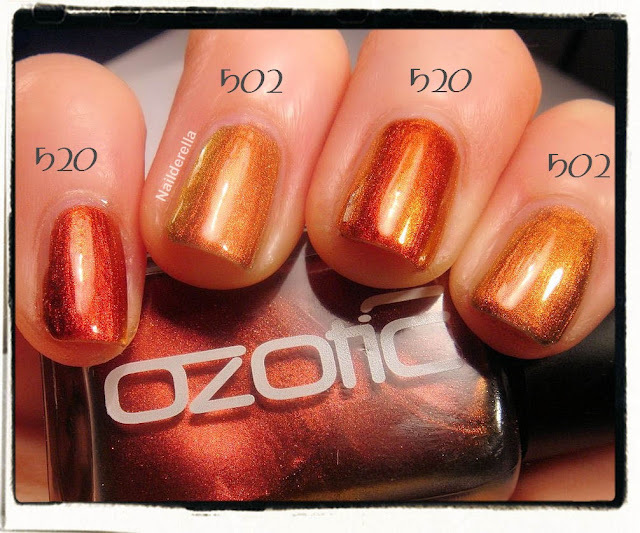 Final verdict: When they are side by side, they look completely different! 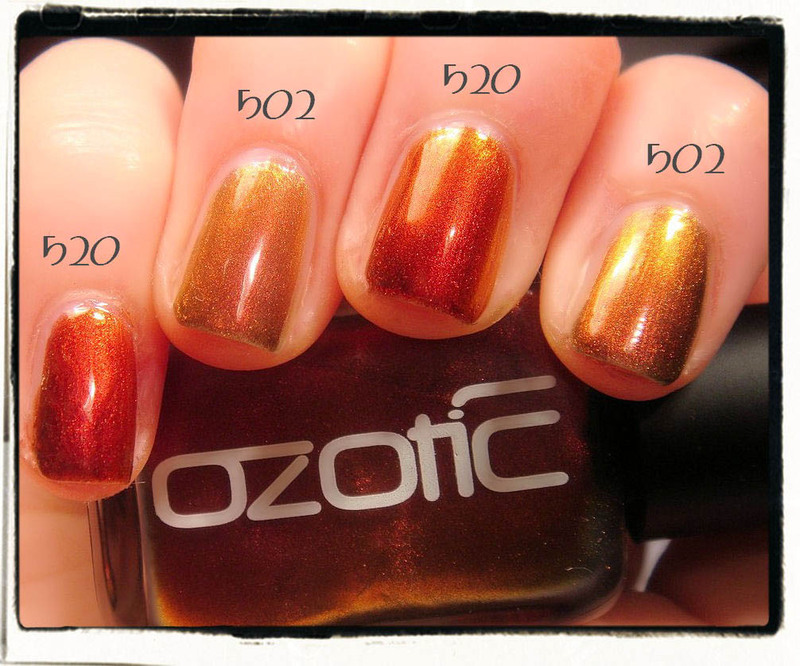 520 is warmer than 502. 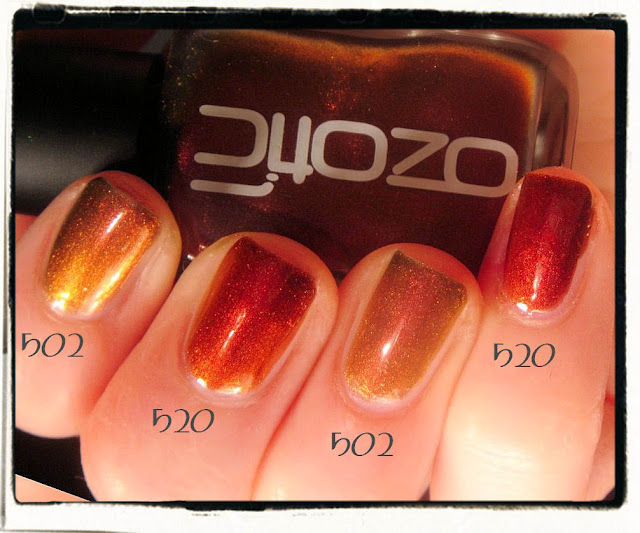 520 shifts from rusty burgundy to red, to amber, to gold, and to orange while 502 shifts from gold to orange, to a light red with a touch of pink in it. On these pictures, I used 2 coats of 520 and 3 coats of 502 to reach full opacity. I didn't use a black or dark base coat. 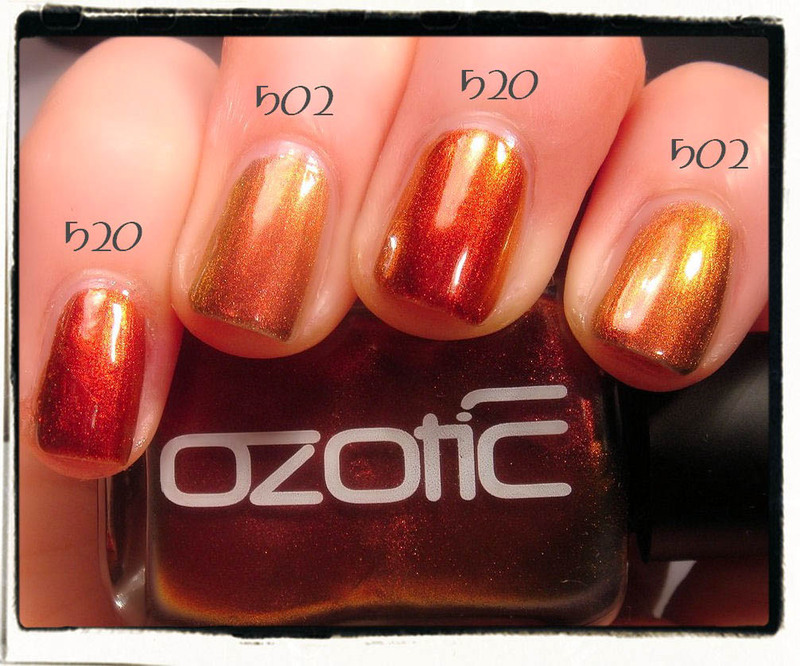 Of course, you can do it to save polish and to get a slightly different effect.